How cool’s this? Vote for your fave SECRET THINGS trailer, win a copy! This book trailer junkie announces an excellent contest…head on over to http://www.staceylongo.com/index.html, scroll down to watch the two trailers and vote for your favorite. 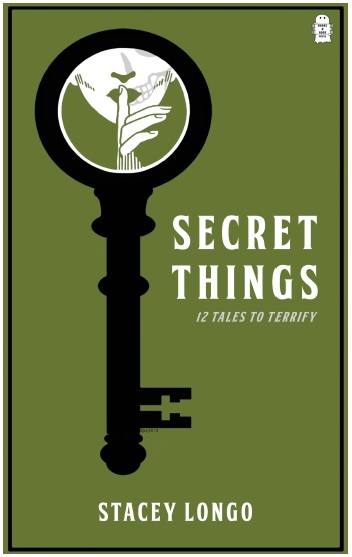 One entrant will win a copy of Stacey Longo’s creepy collection, Secret Things. Drawing will be held on 11/15/13. Posted on October 27, 2013, in News, Short Stories and tagged book trailers for horror books, Books & Boos, creepy old houses in Connecticut, New England Horror Writers, Stacey Longo. Bookmark the permalink. Leave a comment.